It's time for sneek peaks of new products coming to Taylored Expressions this Thursday, May 9th!! 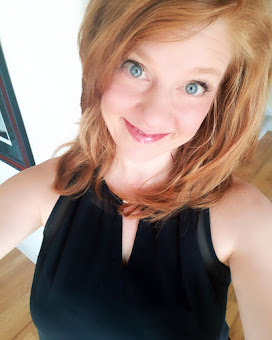 I know you're going to LOVE what's coming! 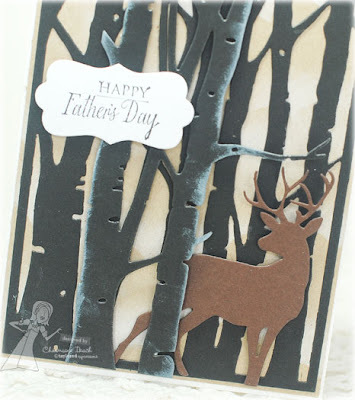 Today I am featuring a new die. . .the Birch Tree Border Die. For my card, I used the coordinating products as well. There is the Birch Tree Cutting Plate and the Birch Tree Accessories. The first thing I did in creating my card was sponged a cloud background onto the Kraft cardstock in Frost White ink. I love how it just "peeks" through the trees. :) Next, I die cut the tree scene using the Birch Tree Cutting Plate. I used the Birch Tree Border Die for the two "front" trees. I sponged a little white on the edges to make them stand out from the trees in the background. The deer was die cut using the Birch Tree Accessories. I tucked the deer behind the one tree a bit so it looked like he was coming through the woods. The sentiment, from Greetings For Him, was stamped on a piece die cut with the NEW Band It Die. Thanks for stopping by today and I hope to see you again tomorrow! Beautiful. 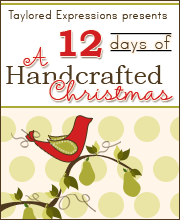 Not only do these dies make great masculine cards, but I can see using them for Christmas. Wonderful, Charmaine! Love the layering of the trees! Love how you layered the trees with the deer peeking out...sooo cool!!! Gorgeous card! I love these birch trees. Wow love that awesome scene you created!! So much dimension, really cool. Love your scene, Charmaine! The white ink really adds nice dimension to the trees, so pretty! 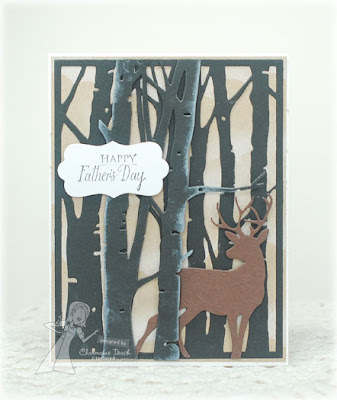 Love the way you layered the die cuts to create the wooded scene. Awesome Father's Day card, Charmaine!